Some sidekicks are content with playing second fiddle. A select few, however, pounced out on their own with varying levels of success. Here's a list of five sidekicks who not only attempted to make a name for themselves, but largely succeeded. Sonic's two-tailed buddy starred in two adventures on Sega's handheld, the Game Gear. Adventure (pictured above) looks like a normal platformer at first glace, but actually contains puzzle elements with an emphasis on item collecting. 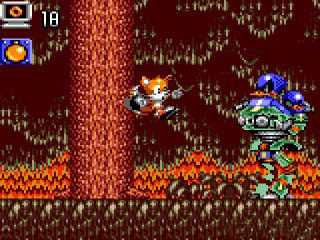 In Skypatrol, Tails flies through scrolling levels, dodging hazards and wielding a single, gold ring used for attacking enemies to interact with objects such as swing bars. Being Game Gear titles, both of Tail's outings are nearly forgotten, even by long-time Sonic fans. However, Tail's Adventure is available the 3DS Virtual Console, so curious fans should take a look at this overlooked chapter in Sonic's history. In this sequel to Donkey Kong Country, Donkey Kong has been kidnapped by perennial villain, Kaptain K. Rool. It's up to DK's pal Diddy and his girlfriend Dixie to save the day. 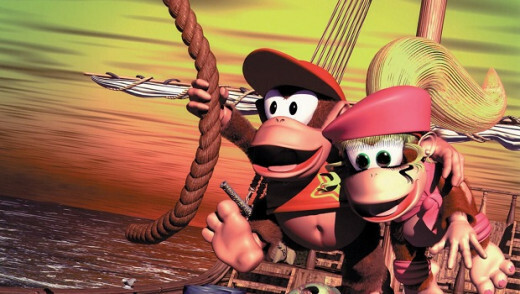 The more nimble pair of characters (as opposed to the bulkier Donkey Kong) made DKC 2, in my opinion, a superior game than it's predecessor and the pirate-themed was a cool change from the jungle-heavy first game. Diddy's other famous venture was the cult-favorite kart racer, Diddy Kong Racing for N64. While not quite as popular as Mario Kart, DKR separated itself from Nintendo's flagship racer by including unique vehicles like planes and hovercrafts. Though Luigi's first solo outing was the educational game Mario is Missing!, the king of video game sidekicks was trusted with launching the GameCube with Luigi's Mansion. 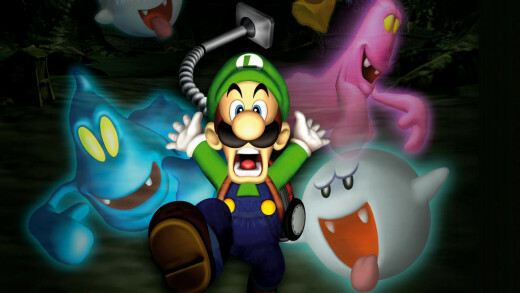 Armed with his trusty Poltergust 3000 vacuum, Luigi explores a haunted house filled with all manner of ghouls, spirits and apparitions. 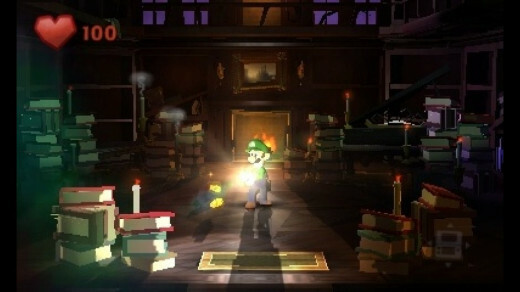 The unique gameplay and humor made it a system favorite and nearly 13 years later, Luigi received an encore in the form of the 3DS sequel, Luigi's Mansion: Dark Moon. Before crafting the excellent PSP God of War games and the upcoming The Order: 1886, developer Ready At Dawn cut it's teeth with Daxter. This fun platformer places Jak's buddy in the role of an exterminator armed with not-so-standard equipment such as a flamethrower and jetpack. There are also some pretty funny dream sequences where Daxter inserts himself in Daxter-ized scenes from iconic films such as Braveheart and Indiana Jones. 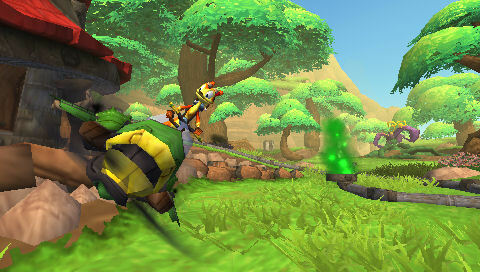 Daxter is one of the most enjoyable experiences on the PSP, regardless if you're a fan of the Jak series or not. Not to be outdone by his furry rival, Daxter, Ratchet's long-time robotic pal showed that he could also hold his own on the PSP. Taking on the persona of a suave and resourceful secret agent, Clank sets out on an adventure to clear Ratchet's name of a crime he feels his buddy didn't commit. 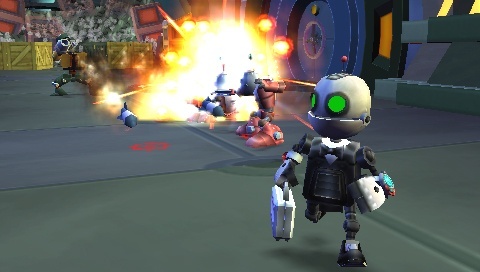 As a metallic 007, Clank is outfitted with his own weapons and gadgets and can once again transform into the monstrous Giant Clank. The game also features a unique, rhythm-based, stealth mechanics. Any other sidekick-games that I neglected to mention? Let me know in the comments below!